As a member of Evolve Vacation, you can enjoy additional benefits and privileges outside of Evolve MMA. Evolve Vacation has partnered with high quality accommodation partners in order to enable you to enjoy savings in your daily life. 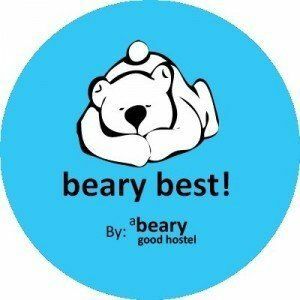 Beary Best is located in a large 3-storey art deco heritage shophouse in Chinatown. 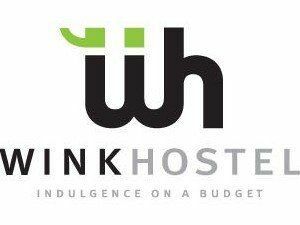 From its convenient location in good ol’ Chinatown (just opposite is the Chinatown Downtown line MRT station) to the long list of high quality facilities and abundant social spaces, we welcome fellow backpackers and budget travellers alike to experience our special touch of hospitality. We have air conditioned dorm rooms of varying sizes and types… all fitted with specially designed bunk beds, large lockers and hotel grade spring mattresses. With its perfect location right in the heart of Chinatown, you get easy access to the train station and main bus services that bring you around the city. You will get to experience the livelihood of Chinese culture with sumptuous local dishes surrounding you! The property is just a short walk away from Clarke Quay where you will find a vast array of bars, restaurants, and relaxing River Tours. All comfortable rooms are fully furnished with basic amenities and modern services to compliment your stay. Visit some of the many shopping malls on Orchard Road or get yourself a full view of the night sceneries from the Marina Bay Sands Sky Park which are conveniently located minutes away from the property. 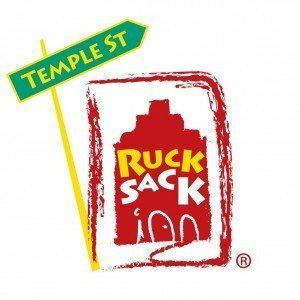 Rucksack Inn @ Temple Street is an ideal location for backpackers who are looking for something on top of the range, yet at an affordable price. Adler Hostel is the first luxury hostel in Singapore. Merging the elegance and comforts of a hotel with the social and economic benefits of a hostel, Adler Luxury sets the bar to the luxury hostel scene in Singapore. Get pampered with our hotel quality linens, fluffy down duvet and foam pillows for a well-rested sleep. Luxury Malin + Goetz toiletries and towels are provided, ensuring convenience in packing. Socialise with fellow residents in our Residents Lounge with complimentary premium Clipper Tea and Coffee. With the ambience of Adler Hostel, you can make the stay as open or as private as you wish, creating an exclusive haven for all residents. Housed in a 3-storey historic shophouse with a Chinese baroque façade, Wink exudes charm and local flavors. It resides in the must-see cultural enclave of Chinatown and is a convenient pivot to access Singapore’s attractions. Chinatown’s Mass Rapid Transit (MRT) station and several bus-stops are a mere 3-minutes’ stroll from Wink. Bliss Hotel is a modern Chinese-themed boutique hotel with 42 elegantly-appointed rooms to cocoon you in maximum comfort. The rooms evoke a fusion of contemporary chic and Swedish ergonomic design. You will be amazed by the hotel’s prime location with major tourist attractions and the CBD area just a stone’s throw away. Public transport such as buses, MRTs, and taxis are easily accessible from the hotel’s main entrance. As it is in the heart of Chinatown, you’ll find many gift shops, travel agents, dining spots and watering holes right at your doorstep.